Shiprock (Navajo: Tsé Bitʼaʼí, "rock with wings" or "winged rock" ) is a monadnock rising nearly 1,583 feet (482.5 m) above the high-desert plain of the Navajo Nation in San Juan County, New Mexico, United States. Its peak elevation is 7,177 feet (2,187.5 m) above sea level. 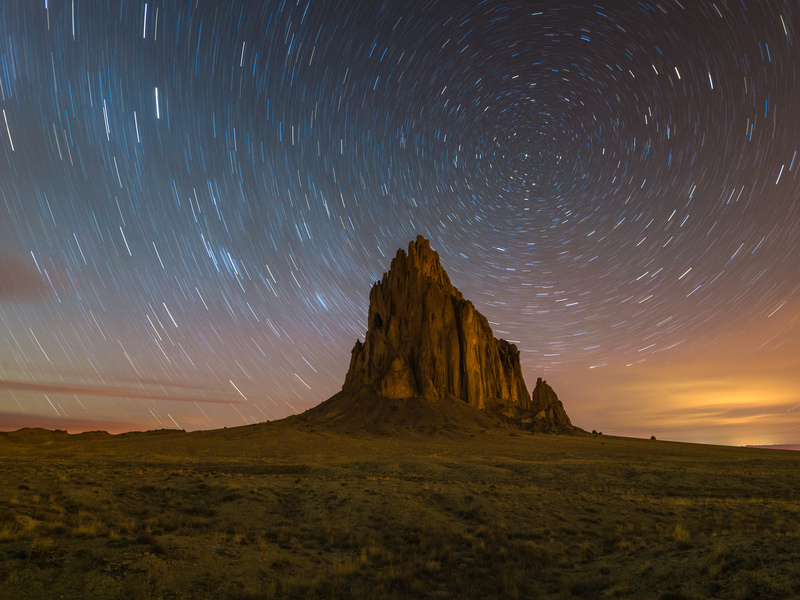 It lies about 10.75 miles (17.30 km) southwest of the town of Shiprock, which is named for the peak.